This unit is divisible and includes Nos. 23 and Part of No. 24 on the attached site plan. 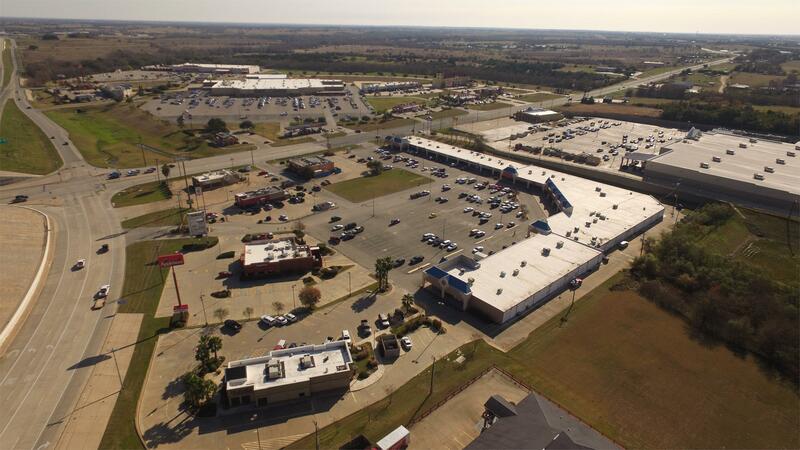 75,230 SF retail center featuring 37,896 SF of retail space available with the smallest retail space at 792 SF and largest at 21,075 SF. Property across the Walmart padsite on Highway 36 South, across HEB on Highway 290 and adjacent to Lowes. National retailers in close proximity. Prime locations. Parking lot recently resurfaced. Roof replaced and painting of retail center also recently done. $1.00/sf/month or $12/sf/year gross, no NNN, owner pays CAM, and tenant pays utilities. Primary traffic count at this location is 36350.